The sartorial world is a volatile one: Trends come and go, and fashionmongers have to keep coming up with designs that can remain in vogue. But striving to keep up in the face of passing fads and fancies was never the late fashion maven Oscar de la Renta’s beat. Over the course of his illustrious career — of which he spent over 50 years dressing celebrities, US first ladies and even royalty — the designer stayed true to his signature style of elegant apparel adorned with exquisite embellishments, intricate details and European and American fashion influences. And it’s a formula that worked: His creations have found fans among Hollywood superstars such as Sarah Jessica Parker and Anne Hathaway, as well as US politicos Michelle Obama, Hillary Clinton, Laura Bush and Nancy Reagan. De la Renta even had bragging rights about dressing royalty, with Queen Raina of Jordan and the late Princess Diana of Wales amongst his star-studded clientele. Most recently, human rights lawyer Amal Alamuddin was spotted wearing a de la Renta ivory tulle gown when she wedded actor George Clooney in Venice. Many of the lovely ladies within Singapore’s high society circle, including Grace Yeh and Susanna Han — who wore pieces from the label at this year’s ball — are also supporters of his work. 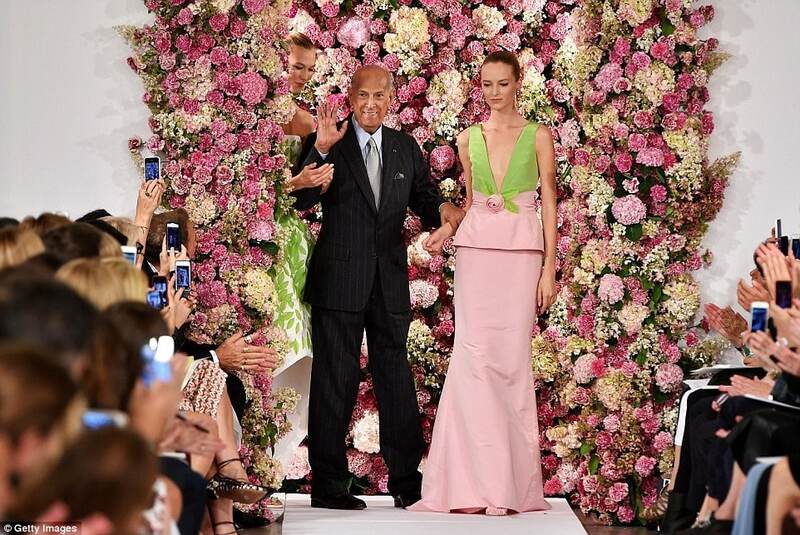 De la Renta’s ascent to one of fashion’s beloved, started with humble beginnings. Born in the Dominican Republic, he studied art in Spain before venturing into design and apprenticing with Spanish couturier Cristóbal Balenciaga. He later joined Parisian fashion house Lanvin as a couture assistant and went on to work for Elizabeth Arden in 1963. A few years later, he launched his eponymous label, achieving his big break when former US first lady, the late Jacqueline Kennedy Onassis, was spotted donning one of his designs. Later in the 1990s, de la Renta also helmed French fashion brand Balmain. The style icon may have passed on, but for the luminaries he has outfitted, his designs live on forever.